Town Stages is a new, fast paced, highly creative theatrical venue. We support a range of cultural events, corporate functions, and ticketed performances in the heart of Tribeca. Town Stages is seeking undergraduate & graduate interns who are quick on their feet, have exceptional digital content skills, a knack for writing and can’t wait to put on a show. We are looking for some more fierce go-getters who want to learn the trade and join our female-led team. 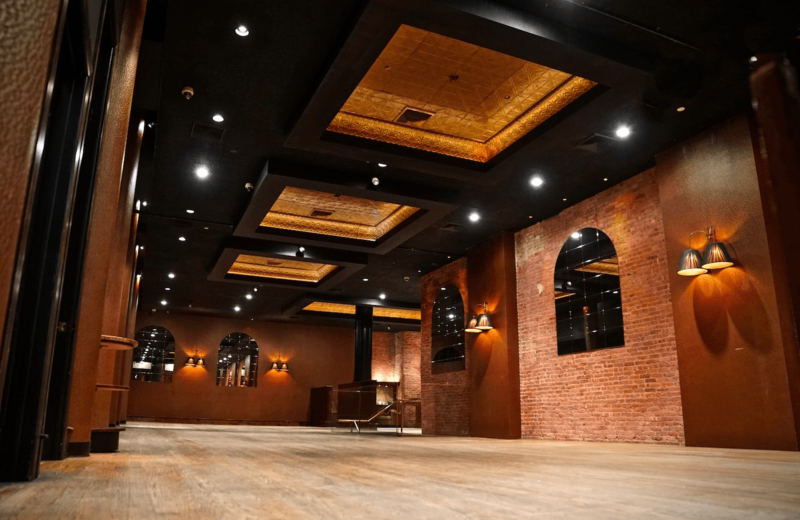 Running a New York City venue requires confidence, extraordinary energy, and vision. We put on a show nearly everyday, sometimes twice a day. Every day is different, bringing new challenges and adventures. We are proud to support a wide range of creators at Town. The right candidate is prompt, focused, ready to dig into the work. Also, a great sense of humor is a bonus! There will be moving, lifting, climbing, building, rearranging, and more. You will learn to operate light, sound, and projection in multiple spaces. You will learn the rental /sales process of a venue, interface with clients, with the potential to assist on productions as an event manager or stage manager. You will hone skills in the art of digital marketing, website design, and create content for social media. There will be emails, data entry, phone calls, organizing, cleanup, and errands of all kinds. We will not ask you to do work we are not already doing ourselves. To that end, interns are also assigned projects and responsibilities that are vital to the day-to-day running of the company. You will be doing the same work the executive team does, day in and day out, so you can really learn. A technical director/ stage manager type who wants to roll up their sleeves on the ground floor of a multi-room venue while we design and outfit it for production use. A photographer, photojournalist, or documentary filmmaker to document key moments during productions and behind the scenes, interface with our PR team, and capture key content as we build out our venue. A graphic designer and social media content creator prepared to build content, track upcoming productions online, and keep our social media channels interfacing with the public. An arts or venue administrator seeking hands on experience and practice honing creative problem solving skills. Town Stages is an equal opportunity employer. Applicants of all backgrounds, experiences, ability and perspectives are encouraged to apply. Applicants from populations underrepresented in the arts and hospitality are strongly encouraged to apply. A successful applicant will be able to articulate a focus on social justice, equity, and inclusion in their work. Town Stages has zero tolerance for discrimination, sexual harassment, assault, theft, and drug use of any kind. Immediate Start. Part time 15/20 hours a week. School credit provided if applicable.